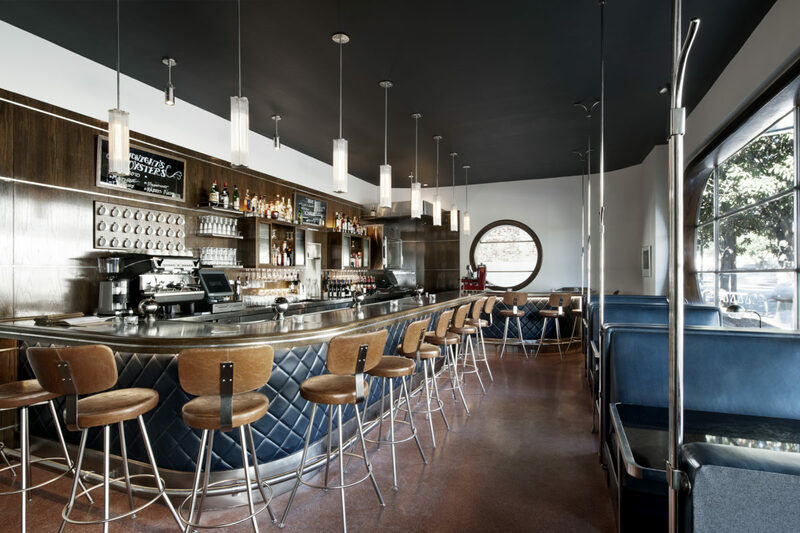 The front room bar at The Grey, Mashama Bailey's restaurant, built inside an original 1930s Greyhound bus station. Though she moved to Savannah only five years ago, Mashama Bailey is a fixture. 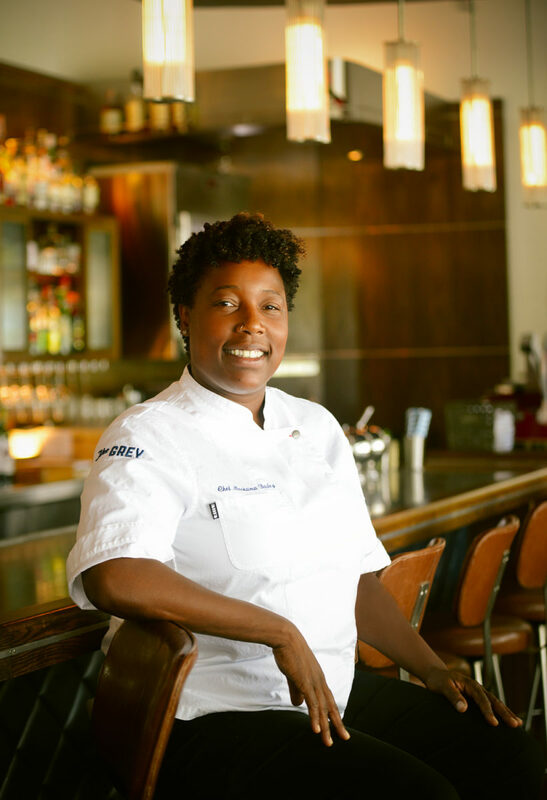 She’s the Executive Chef at The Grey, a standout on the Savannah restaurant scene, and The Grey Market, a newly-opened sister location combining a lunch counter and artisan grocery. Here, eat your way through Savannah with Bailey as your guide. Mashama Bailey at The Grey. Photo by Cedric Smith. 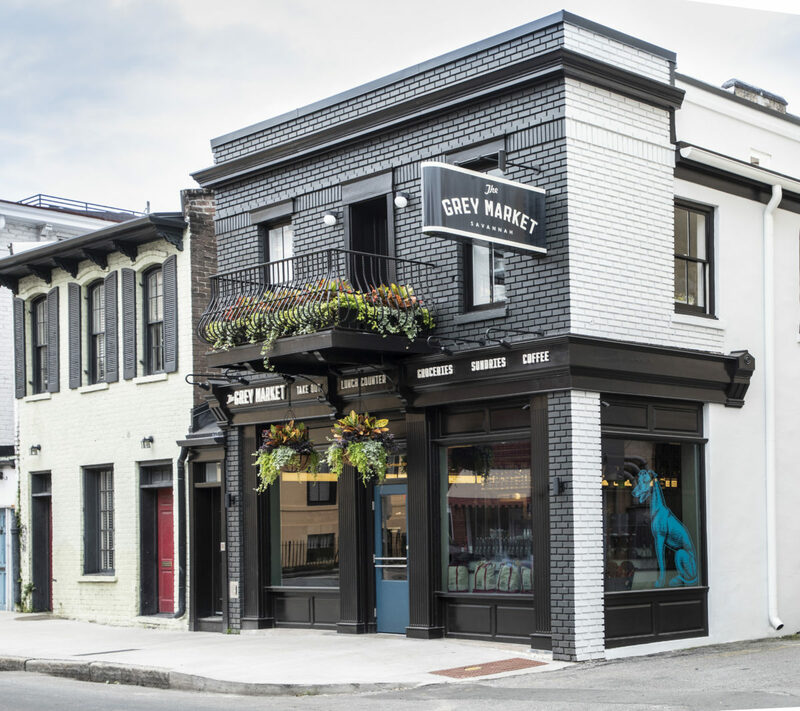 The Grey Market in Savannah, GA.
What’s unique about the food scene in Savannah? The oyster culture here is huge. When you’re not in this area, you don’t know about Georgia oysters. Right after I left Burgundy, I came back to the States and I knew that I wanted to move to the South. When researching and looking up Savannah and its food ways and food cultures, I found so much documentation about oysters, any way you can possibly cook them. People love them fried here. What are your favorite food spots? I love to eat at Cotton & Rye or Green Truck Pub. Where do you take visitors out to dinner? Circa 1875—I love the crispy fries! What’s special about Savannah? Why should people come for a visit? It’s just funky enough. I think Savannah College of Art and Design being here is a huge asset for people who are from bigger cities and need that young vibrant energy around them. The kids are from all over the world. I like that a lot. The Perry Lane Hotel lobby. Where do you find inspiration around Savannah? I find inspiration just by walking the streets of Savannah, or out on Tybee Island. I also love cookbooks. I really love them. Reading a cookbook is just like having a conversation with somebody, asking them a question and them giving you the answer. What are the arts and culture destinations a visitor shouldn’t miss? The African-American Cultural Center takes you on a walk through the past. The Jepson also has some great exhibits. Where should people stay when they come to Savannah? 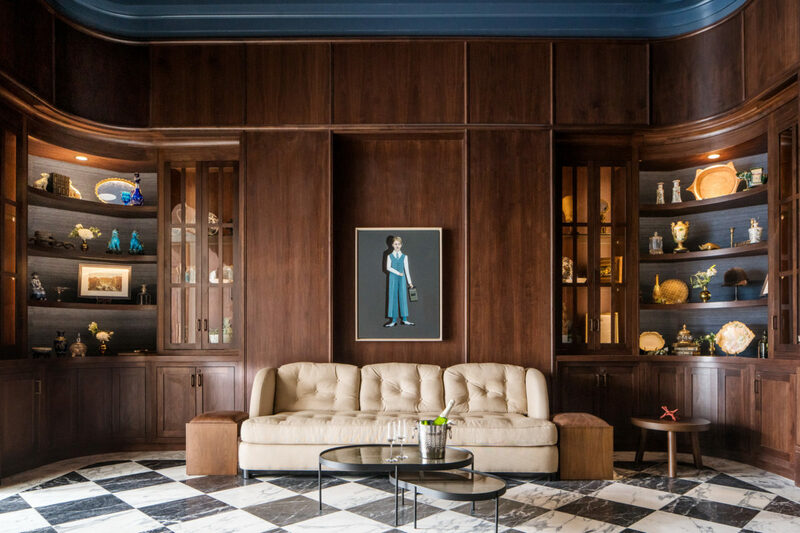 Stay downtown—I love the Hamilton-Turner Inn and Perry Lane Hotel. The Intracoastal Waterway. If you have access to a boat, it’s a great way to see the area. Eating at Mrs. Wilkes! They have really delicious fried chicken.